Pink Floyd The Dark Side Of The Moon Hoodie from an original pen and ink drawing by Mark Reynolds. 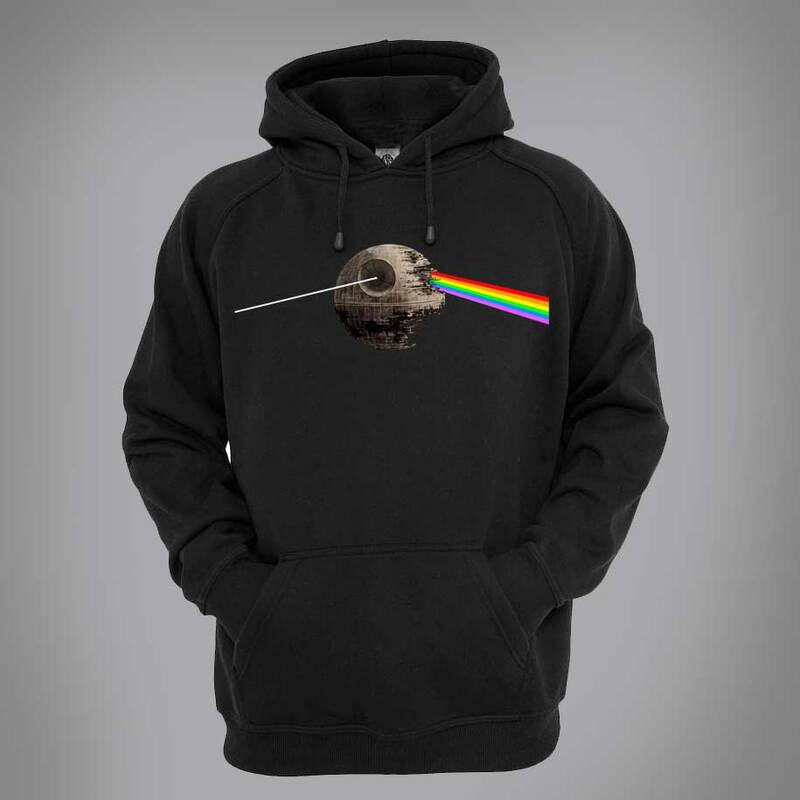 This exclusive Pink Floyd Hoodie takes a twist on The Dark Side Of The Moon’s original album design which depicts a glass prism dispersing light into colour and the Death Star from Star Wars. The Dark Side of the Moon is the eighth studio album by the English progressive rock band Pink Floyd, released on 1 March 1973. The album design represents three elements; the band’s stage lighting, the album lyrics, and Wright’s request for a “simple and bold” design. The spectrum of light continues through to the gatefold – an idea that Waters came up with. The Death Star was the Empire’s ultimate weapon: a moon-sized space station with the ability to destroy an entire planet.